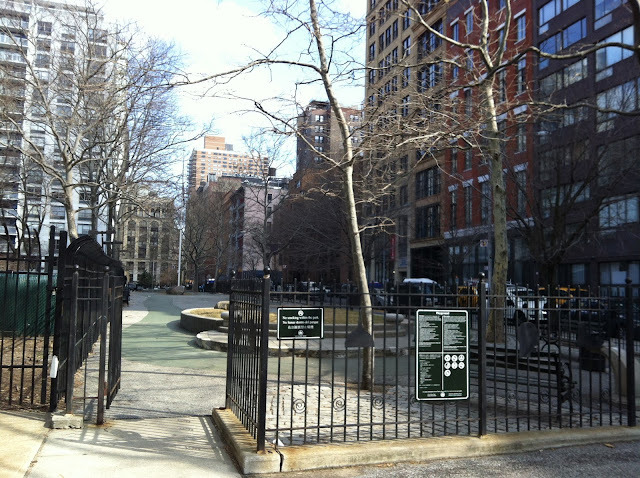 The title of this post is taken from the affidavit of former NYC Parks Commissioner Henry Stern in support of the Article 78 lawsuit against the alleged unlawful approval of the NYU 2031 Expansion Plan by NY City and State agencies. Commissioner Stern argues that although Mercer Playground, LaGuardia Corner Gardens, LaGuardia Park, and Mercer-Houston Dog Run were not not formally "mapped"* as public parks, the fact that they have been used as such confers public-park status on them. 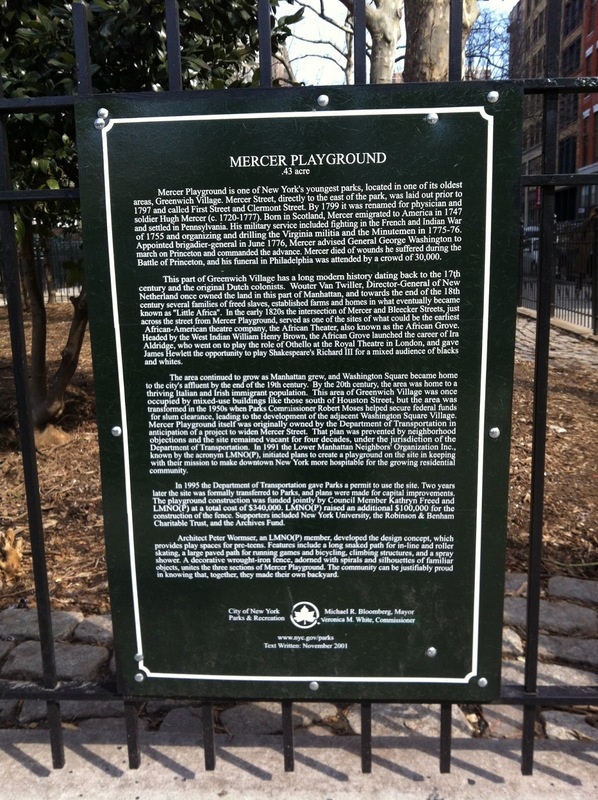 In fact, unlike LaGuardia Corner Gardens, LaGuardia Park, and Mercer-Houston Dog Run which sit on land presently owned by the DOT, the land on which Mercer Playground sits is owned by the Parks Department. The land was transferred from DOT to Parks in 1997 (see the text on the plaque, pictured above, as well as on the playground's official webpage). Gibson Dunn attorneys will present evidence on the illegal "parkland alienation" to NY State Supreme Court Justice Donna Mills tomorrow, February 26 at 11:30 a.m. at 111 Centre Street, Room 574. * Central Park is not officially mapped, either.